Justice Ruth Bader Ginsburg at the Supreme Court building. Ginsburg said without mandated fees in place, unions would have diminished resources. The United States Supreme Court heard opening arguments Monday in a case challenging an Illinois law that allows public sector unions to collect fees from workers who are represented by the union, but are not members. The case was brought forward by Mark Janus, a state employee, who is suing the American Federation of State, County and Municipal Employees in opposition to contributing to the union. Janus has argued that mandated fees collected violate his First Amendment right to free speech because some activities the union engages in on his behalf — including collective bargaining — are inherently political. Over 20 states currently have laws in place that let unions charge non-members fees for work done on their behalf. Justice Elena Kagan said during oral arguments she didn’t think the court had ever overruled a case where the reliance on precedent was as great as this one. She said if they did overrule the case, it would invalidate contracts for thousands of municipalities. The focal point of the debate over the case centers on a 1977 Supreme Court case, Abood v. Detroit Board of Education, which determined that though non-members of public sector unions can not be forced to pay fees for a union’s political activities, they can be required to pay for union work like collective bargaining, contract administration and representation of workers in grievance proceedings. Justice Ruth Bader Ginsburg pointed out during the arguments that without the fees in place, unions will be drained of the resources they need to advocate for the people they represent. She said not only would people opposed to the union stop paying fees, but also people who want the union’s representation without the cost. 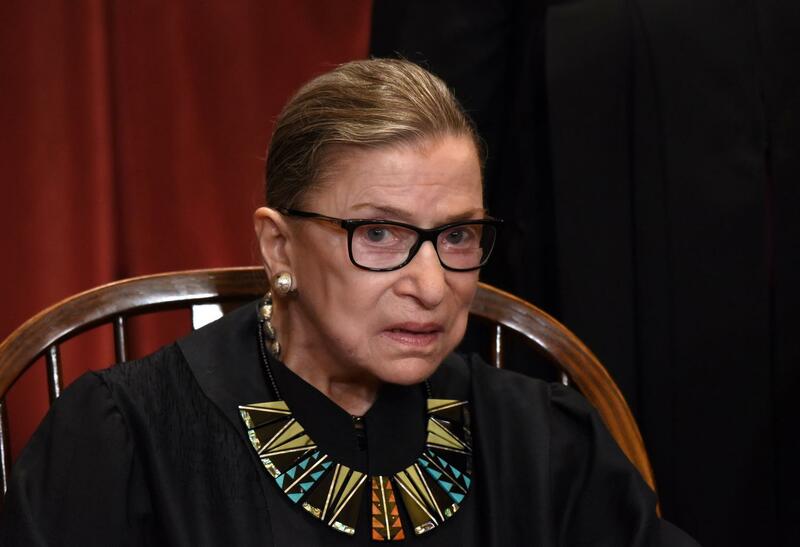 “You’ll have a union with diminished resources, not able to investigate what it should demand at the bargaining table, not equal to the employer that it faces,” Ginsburg said. On the other side of the argument, Justice Anthony Kennedy said he thought that the removal of mandated fees would cause a lessening of political influence for unions. He said there is no difference between collective bargaining over pay and benefits and a union’s political activities. The Supreme Court heard a similar case in 2016 regarding the same “fair share” laws in California, but but former Associate Justice Antonin Scalia died soon after the case was argued, and the decision was deadlocked 4-4. The deciding factor in Janus’s case will likely be Justice Neil Gorsuch, who was not on the bench for the California case. Gorsuch did not ask a question in Monday’s initial proceedings. In a Tweet posted after oral arguments, Gov. Bruce Rauner, who attended the proceedings, said he was proud of what had been started in the court. Rauner said he was confident that the Supreme Court would side with “free speech” for workers in state government. “The gravity of the Court’s decision will be felt not just in Illinois, but across America,” Rauner said.